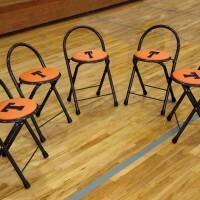 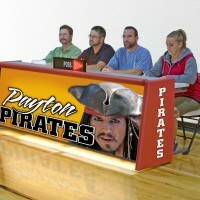 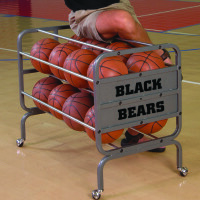 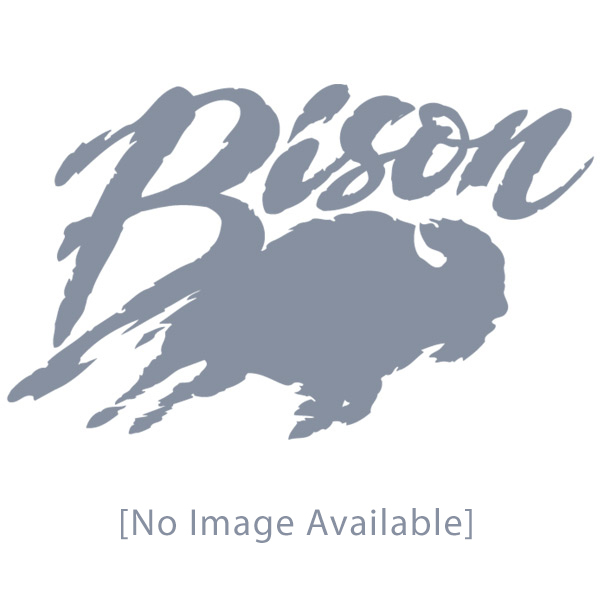 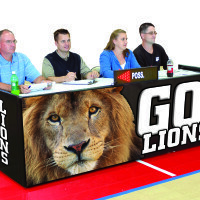 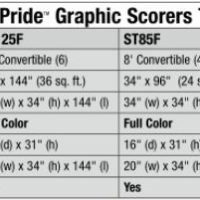 Sport Pride Graphic Scorers Table - Bison, Inc. 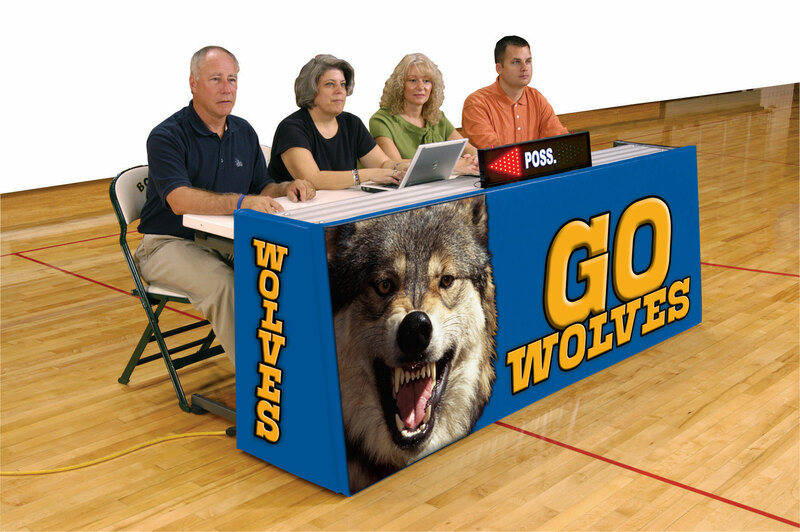 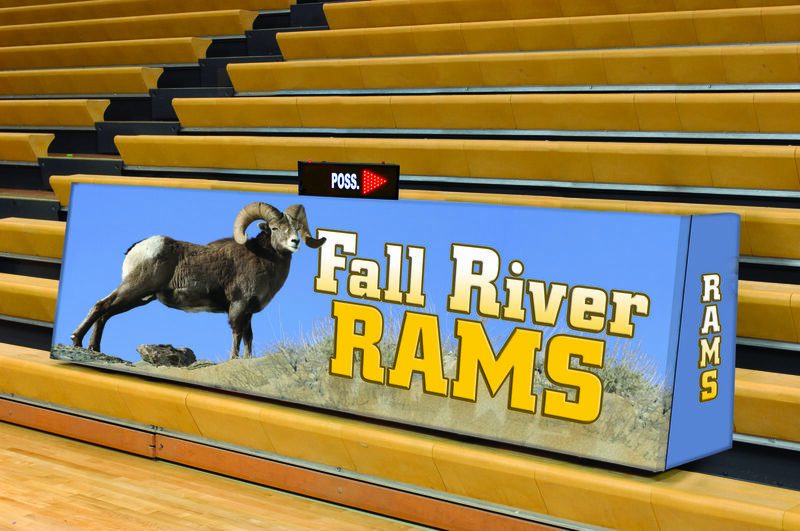 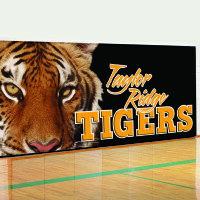 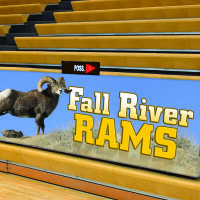 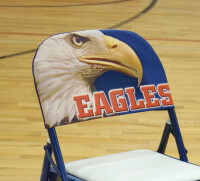 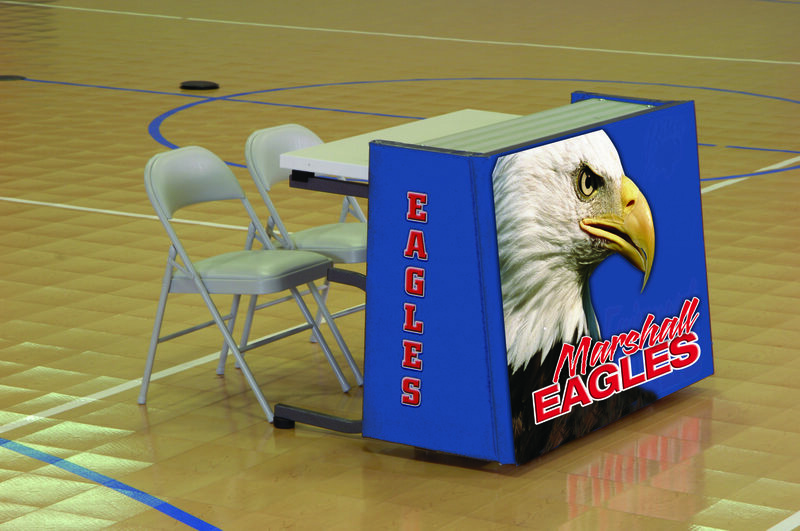 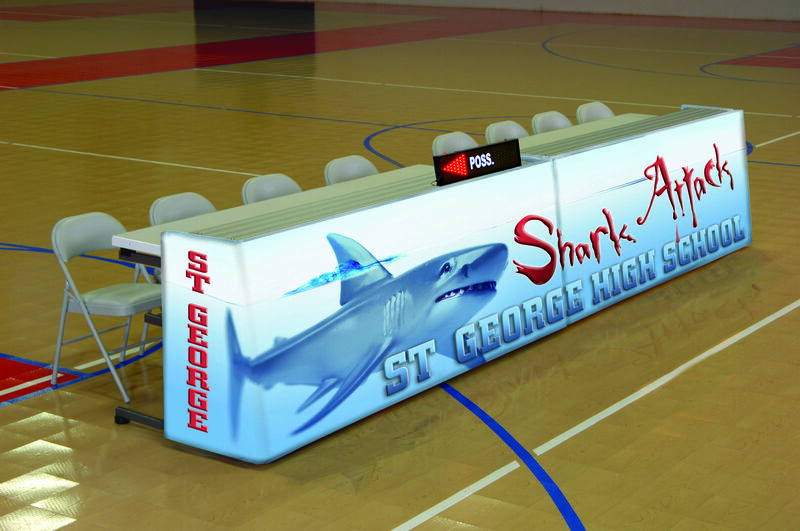 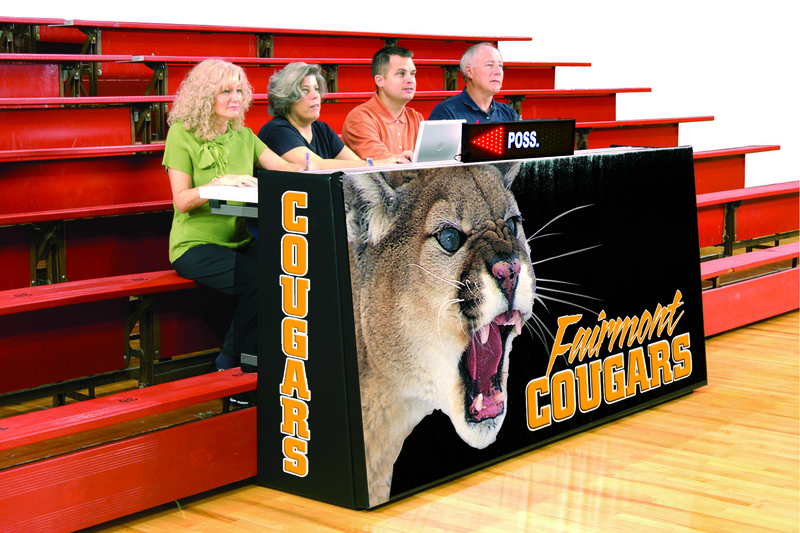 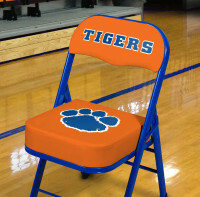 The perfect blend of safety, function and school pride…Realistic color graphics, same as found on our popular Sport Pride wall padding, cover the entire front and sides of these scorers tables • Available in 12′ or 8′ models • Any number of 12′ and 8′ tables can be placed side-by-side with graphics coordinated to create any length of continuous scorers table capacity • Tables fold easily for transport and storage • Choose from Convertible or Space Saver models • Includes full color printed graphics on front panel and mascot or school name on each side pad • Super narrow storage width • Full color printing process allows infinite color selection • One hour of FREE custom artwork by Bison art department (BNART) • Printed surfaces are clear laminated to protect graphics • Folding 16″ deep table with drink holders • Padded front and sides have 14 oz. 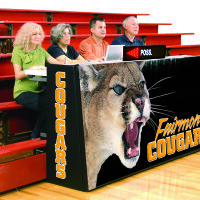 anti-mildew, UV protected and fire-retardant vinyl over 2″ thick urethane foam • Steel and aluminum structure with powder coated and anodized finish • Built-in, floor-friendly transport casters • 110 volt receptacles for computer, shot clock, etc. 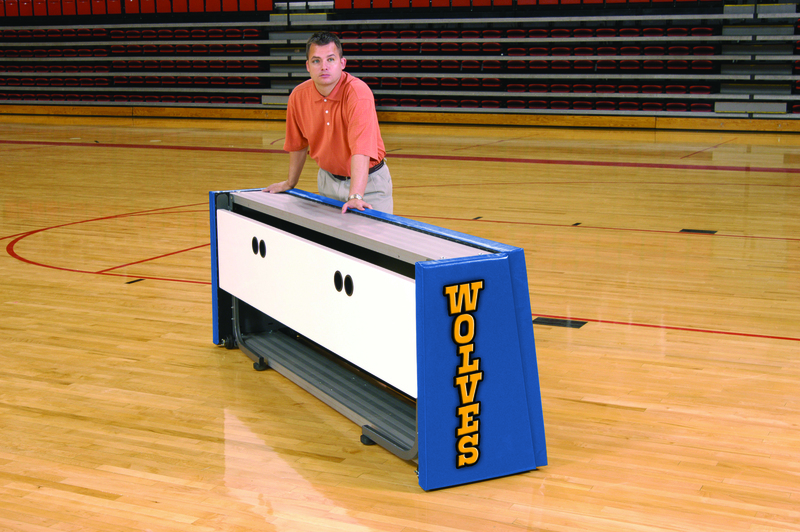 • Optional protective cover available for 8′ models • Due to their custom design, scoring tables and wall padding are not returnable • One-year limited warranty. 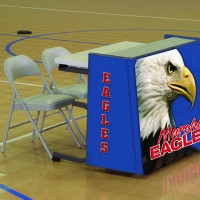 Read our scorers table testimonials! 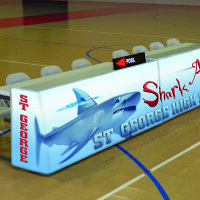 Nice design and easy to set up. 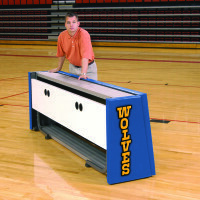 Wish it had locking casters, but holds in place well when table top is up!